Crabs are classified as crustaceans, and have been a staple seafood menu in many countries across the globe. While there are many species of crabs, only a handful are pursued as a food source. An even fewer species of crabs are being raised in captivity for a controlled cultivation. Crabs are characterized by their hard exoskeleton and two claws. According to FitDay.com, crabs are an ideal addition to a balanced diet largely due in part to its high nutritional value and relatively low fat content. Crabs are an excellent source of phosphorus that fortifies the teeth and bones. This makes the seafood an integral part of diet among older people and individuals at risk of developing osteoporosis. The high calcium and phosphorus content in crabs are also ideal in preventing osteomalacia and rickets in growing children. On the other hand, the high chitin levels in crabs promote bone growth. Likewise, crabs are notably high in chromium that helps improve blood sugar metabolism and reduce blood sugar levels in the body. The abundant chromium supply in crabs are known to facilitate the action of insulin, which in turn prevents the onset of diabetes. Additionally, crabs are rich in nutrients — such as copper, vitamin B2, and selenium — that are essential in maintaining a healthy cognitive function. These nutrients are found to fortify myelin and protect the nervous system, while simultaneously curbing inflammation and plaque build up in neural pathways. Crabs are also a rich source of omega-3 fatty acids that promote brain development and memory, and staves off anxiety and depression. The rich chromium content in crabs are also notably effective in increasing the body’s good cholesterol levels. On the other hand, the sterols in crab meat are known to mitigate cholesterol and fat absorption in the body. Aside from these, the high omega-3 fatty acid levels in crabs slash triglycerides and bad cholesterol that lead to arterial wall blockage. Additionally, crab meat is a rich source of potassium that regulates blood pressure levels. This means that consuming crabs may lower the odds of cardiovascular conditions such as heart failure, heart attack, and stroke. 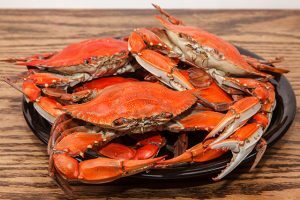 In addition, crab meat is known to possess antioxidant and anti-inflammatory properties that stave off infections, arthritic pain, and even cancer. Furthermore, the rich omega-3 and B-vitamin content in crabs make it an ideal food fare for pregnant women. However, experts reminded pregnant women to cook the seafood very well to eliminate potential parasites. Health experts have also cautioned that people with allergies should refrain from eating the crustacean. Crabs are especially beneficial to the heart and the circulatory system, the skeletal system and nervous system. Like many other seafood, crabs are prepared in a variety of ways including steaming, boiling, baking or frying. Crabs are used in a wide array of dishes including pastas, cakes, curries and soups. An article in HuffingtonPost.com has curated 20 delicious crab recipes across the web. 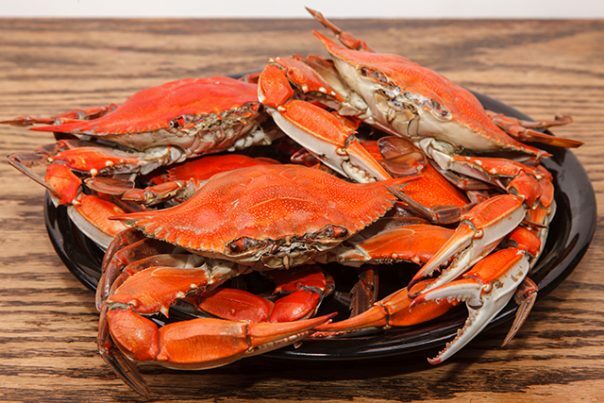 Crabs prevent bone diseases, cardiovascular conditions, and diabetes. Crabs also stave off infections and cognitive disorders. Crabs support the heart and the circulatory, skeletal, and nervous systems.